Over the past couple weeks, we've been bringing you new Christmas music from the worlds of pop, R&B; we even brought you some Cajun. We were dying to also bring you some new classical Christmas music. But as we searched for new albums, we were left scratching our heads. Turns out, we weren't the only ones.  Tom Huizenga, who follows the classical world for NPR Music, has been looking into why there are so few new classical Christmas albums. Tom, thanks for coming by. TOM HUIZENGA, BYLINE: Hey, it's great to be here. Thanks. GREENE: So what's the answer? What is it about 2012 - why no new classical Christmas tunes? HUIZENGA: Well, you know, fewer classical records sell, just in general. You know, the big labels, back in the '80s - when the CD was the new, hot thing - there was a lot of money to throw around at artists; and money to throw at Christmas records. And there's less money now, and so there are fewer artists on those big labels. Possibly, they're thinking, you know, it's more trouble than it's worth, these days, to cut a Christmas record. GREENE: Well, as you said, there are a few out there; some new tunes, if not that many. And you have - well, we couldn't find any; you have brought us some of your favorites. HUIZENGA: There's this Miami-based choir, called Seraphic Fire. HUIZENGA: ...on their own label. And it's really well sung. It ranges - the music ranges from plain chant to contemporary composers, including this killer arrangement of a traditional carol, "O Little town Of Bethlehem." But it's not - it's not what you think you're going to hear. It's a different arrangement. And I love these - kind of surprising twists on a traditional carol. So let's hear a little. GREENE: This does sound, in a way, like - a little bit more modern than we're used to, of this song. HUIZENGA: It is. And it's a little bit more mysterious ma be, but the singing is just fabulous. This group has a really excellent blend, and excellent unity of singing. And that's what makes it a really great record, I think. GREENE: One of the things that people love about classical Christmas music is that it really does feed into the nostalgia of the season. GREENE: And I know you've been giving some thought to some of your favorite pieces from over the years. Give us a taste of those. HUIZENGA: Let's start with Robert Shaw, who is no longer with us, but he was a giant among choral conductors. He founded a number of choirs, including the Atlanta Symphony Orchestra Chorus. And here is a carol that is sung by an offshoot of that chorus, called the Robert Shaw Chamber Singers. GREENE: Yeah, that does get you in the mood for the season. That's nice. HUIZENGA: And you know, it sounds really simple and kind of plain, but there's so much subtlety going on in how he's arranged the parts, and how well they are sung. I think just a simple "In the Bleak Midwinter" - one of my favorite songs for Christmas - a performance like this can warm the heart in a kind of these weird, mysterious ways. You just have to kind of give into it. HUIZENGA: Well, yes. But Duke Ellington actually wrote a number of orchestral suites. And he was a really great orchestrator, like classical composers are. In fact, I think he really knew his classical composers very well, especially the modern ones; like Arnold Schoenberg, and some of the composers that were doing some more of the out-there and atonal-type things. Duke Ellington's most famous suite, however, is one that is based on Tchaikovsky's "Nutcracker." And it is just - I think it's just irresistible. GREENE: So it's jazzy classical. HUIZENGA: Oh, yeah, it swings. You can't resist that swing. But like I was mentioning earlier, though, if we rack up this other part of the suite - based on the Chinese dance from "Nutcracker" - you'll hear some of these weird things that Ellington was doing in kind of these chromatic harmonies, and odd things happening in the percussion. GREENE: Yeah, this is a little weird - and unexpected, from Duke Ellington. But interesting sound. GREENE: Yeah, very cool. Well, give us one last song that we can use to say farewell. HUIZENGA: All right, maybe we saved the best for last. HUIZENGA: And that's Jessye Norman, the soprano whose voice has this perfect combination of golden warmth and awesome, awesome radiance. This sophisticated arrangement of "O Come, O Come Emmanuel," begins very simply, with Jessye Norman singing the words "o come, o come Emmanuel" very slowly. GREENE: That's quite a voice. HUIZENGA: Oh, yes. It's really - kind of, in a way, the ultimate voice. But I love how it starts very slowly and simply. But this arrangement by Donald Fraser, which includes the members of the New York Choral Society and the American Boychoir - this song builds and builds. And let's scootch it down, a little ways, and hear how the drama really picks up toward the end of this. It's quite something. 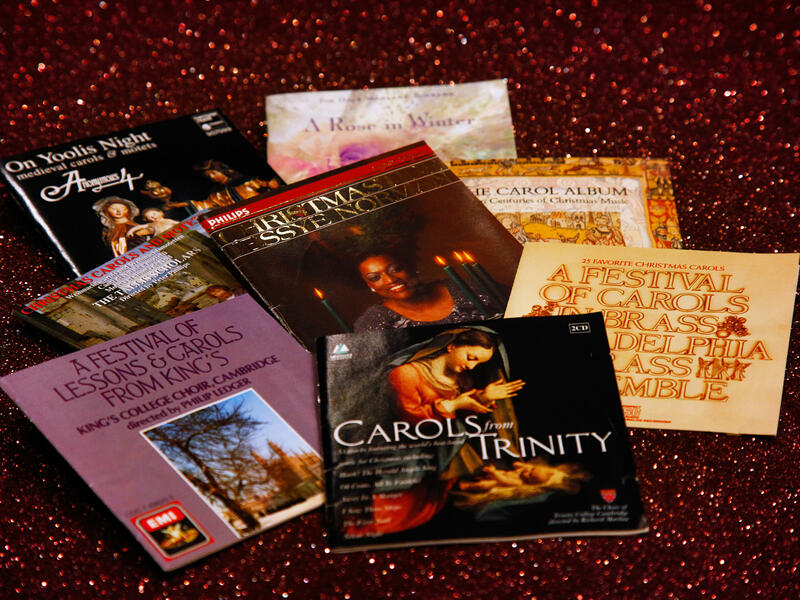 GREENE: It's a taste of classical Christmas music, with Tom Huizenga from NPR Music. Tom, thanks so much for sharing these with us, and have a great holiday. HUIZENGA: Thanks so much for having me; and Happy Holiday to you, too. GREENE: And you can hear more music from some classic classical Christmas albums, at our website, nprmusic.org. This is MORNING EDITION from NPR News. Renee Montagne is back hosting with me tomorrow. I'm David Greene, wishing you a Merry Christmas. NORMAN: (Singing) ...heavenly home. Rejoice... Transcript provided by NPR, Copyright NPR.